Who is to care for widows? Who says the Bible does not help us deal with every issue of life? Those who deny this truth simply have not read the Bible themselves or have rejected the book, hoping this will somehow make them less accountable to it and its Author. The Bible speaks clearly on the question “Who is to care for widows?” which is a practical concern for every generation in every place. The widow has always been one of the most vulnerable in society. It may be true that the American widow has the safety net of the government and its programs to help provide for her, and it is certainly true that the American widow has more disposable income than nearly all of her global counterparts. That doesn’t change the truth of Scripture, however, which clearly lays the responsibility for widows at the feet of the family, first, and then the church. The family is responsible to care for its own widows. It is the children and grandchildren who are to provide for their elderly relatives, not the government. This was so ingrained in the cultures of the first century that Greek law demanded that sons and daughters were not only morally, but also legally, bound to support their parents. Aristotle had written three centuries before, “Anyone who refused that duty lost his civil rights.” He said, “It is more honorable to help the authors of our being, even before ourselves.” William Barclay writes, “As Aristotle saw it, a man must himself starve before he would see his parents starve.” Maybe this helps us understand why the Apostle Paul would say that anyone who does not provide for his own “has denied the faith and is worse than an unbeliever.” Even the pagans took care of their parents in their old age. It is interesting to me that when Jesus is confronted by a weeping widow who has lost her only son in Nain, he did not simply comfort her and then tell the government or the local gathering of believers to take care of this lady. Instead, Jesus raised her dead son to life. He “awoke” the one who could care for his widowed mother. 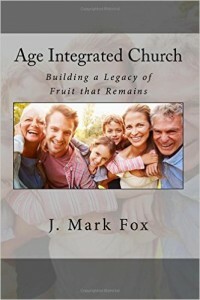 Jesus stopped the funeral procession and said, “Young man, I say to you, arise.” May I suggest that is what needs to happen in families all across our land that are dead to their responsibility to care for their aging parents and grandparents? They need to be resurrected, brought back to life, have their eyes opened to see their charge to care for the “authors of their being.” What if our parents provide for themselves financially, like many in this generation have done? We still must honor them by keeping in touch and caring for them emotionally. When does the church step in, then? The Bible teaches us that the church provides for “widows indeed,” those who have been left all alone, without family or financial provision from any other source. They also must be “godly widows,” those who trust in God alone. The widow who lives for pleasure and “is dead while she lives,” Paul says, is not the responsibility of the church. Paul suggests that this widow be left to her sin in hopes that she will repent. The Bible speaks to every issue of life, including the question of who cares for widows. The family and the church that follow this clear instruction will be blessed. So will a nation that is racing headlong toward involuntary euthanasia and other “final solutions” for the elderly. May God help us. Previous Previous post: You want to be a leader? Next Next post: Does your pastor have the blues?